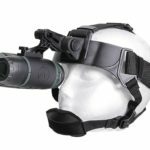 When you think of night vision, you probably envision some well dressed, high-tech spy strapping on a pair of oversized goggles so that he can see someone else in the dark. You may have wondered “do those things really work? Can they really see when it’s pitch black?” The answer to these questions is yes. Night vision goggles are definitely real technology. The best night vision goggles, monoculars, binoculars, scopes and cameras can see a person in the dark, on a super cloudy night, over 200 yards away. We have been working extra hard to test out as many night vision models as possible to bring you these night vision goggle reviews. In this night vision buyers guide, we will teach you everything you know to buy the right pair of goggles for you. 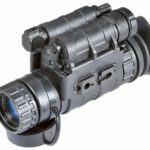 For the money you can’t go wrong with the Armasight Vega Night Vision Goggles, they have a low price point yet was manufactured with quality in mind. What we love the most about this unit is it comes with the head mount, so if that was something that is important to you, you no longer have to worry about spending extra money. Other than that we just thoroughly enjoyed testing this night vision device. Check out the full Armasight Vega Night Vision Goggle review here. 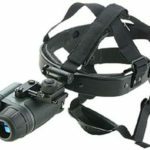 The ATN PVS14-3A Gen 3A Night Vision Multi-Purpose Monocular is our top choice for the best night vision monocular because of how versatile it is. We found this to be the best night vision monocular because of its multi-purpose system. 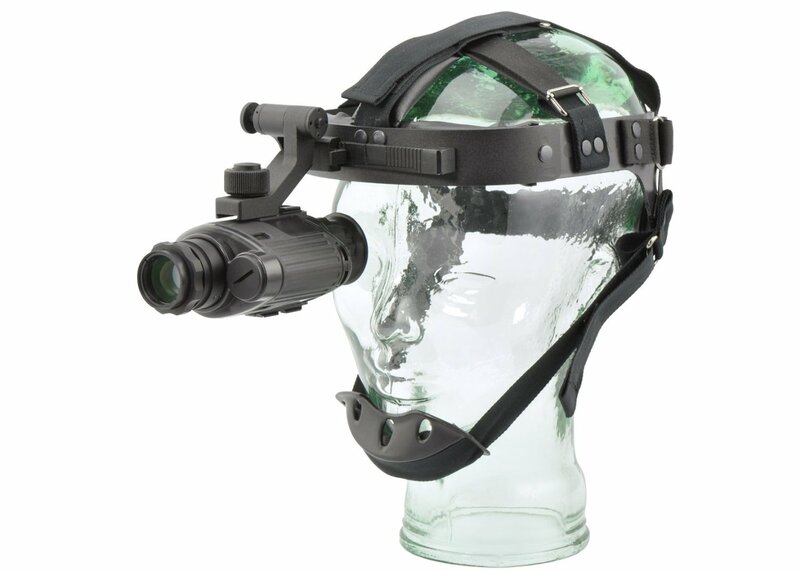 The ATN PVS14 can be head mounted, helmet mounted (with optional helmet mount) or used for night time photography (with optional camera adapter). The ATN PVS 14 is a generation 3A night vision device so you will not be disappointed with the quality. Out of all the night vision monoculars, we tested this was the most fun to experiment with. 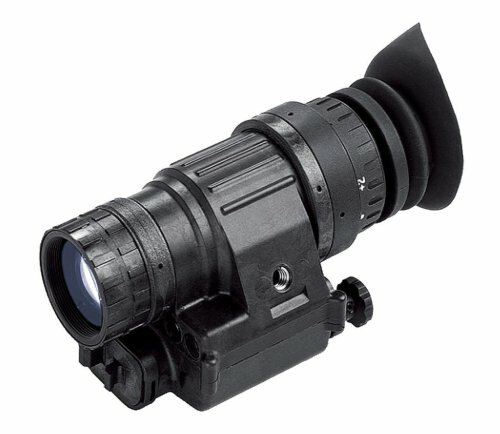 We recommend this to anyone looking for a high end one eye night vision device. The ATN PVS7-3 Night Vision Goggle is definitely the best night vision goggles that we were able to test. 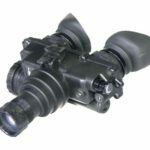 The ATN PVS7-3 is a Military-grade night vision device that even includes a head mount assembly with 3 pads for hands-free use. These night vision goggles are dependable, high performance designed to help you see clearly in the darkest and most unfavorable condition. Another benefit to the ATN PVS7-3 is that they are both waterproof and fog proof so you can take these anywhere without worry of damaging them. When we tested these we found them to be extremely durable. Unfortunately, during our testing these were dropped quite a few times and we found that this model was able to stand up very well against wear and tear. The Firefield FF25023 Tracker Night Vision Binoculars are by far the best night vision binoculars from our field testing. The battery life on this thing is amazing. It can last up to 72 hours. 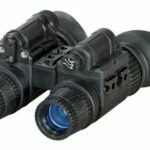 These Firefield night vision binoculars were manufactured with a dual tube design to help give better depth perception which is important if you plan to be moving around while you use this device. 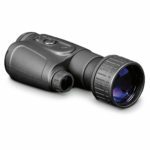 The Firefield FF25023 tracker is also highly efficient with its battery use to make sure you get the most life from your night vision binoculars as possible. Even though these binoculars are only generation 1 the picture was really clear. For the price you can’t find a better pair of night vision binoculars. 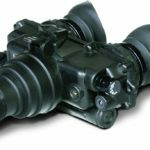 What Are Night Vision Goggles? Night vision goggles are a night vision device that allows viewing with both eyes at the same time. They usually have no magnification and can be head mounted. One of the benefits of these is how comfortable and natural they fit your face. Anyone can use and there is virtually no learning curve. Night vision goggles usually consist of a two eyepiece that views through dual image tubes, this is also known as stereo vision. This just means each eye sees a slightly different image instead of both eyes seeing the exact same image with both eyes. This helps the end user to get better depth perception which helps the end user to have the most accurate view. How do night vision goggles work? W’ve all been impressed by futuristic movies where spys are using this cool technology but how do they work? The short answer is it depends on which kind of technology is being used. Night vision goggles operate in one out of two ways, and they are both different. Before we talk about the two different types of technology, you need to know something about light. All light is not visible. The light that you can see is called visible light, and this is only part of the electromagnetic spectrum (all the forms of light). Other forms of light that you might be familiar with are UV or infrared lights that can’t be seen by the naked eye. If you want to be able to see in the dark there are a few ways you can achieve this. One way requires a special kind of technology called image enhancement. This is basically when an image is captured and the technology does the best it can to figure it out. Even when it is pitch black there are tiny fragments of light such as the above-mentioned forms, that may not be visible. Night vision devices using the image enhancement technology collect all this spare light and amplify it so that you easily see what’s going on in the dark. The other way night vision goggles function is using a technology called thermal imaging. When you think of the word thermal, you probably think of body heat. Hot objects, IE. human bodies, emit heat in the form of infrared light. Night vision devices that use thermal imaging are able to capture this emitted light giving you a clear picture. Thermal imaging works good for trying to detect people in dark places. It works best in conditions of absolute darkness. The Majority of night vision devices use image enhancement technology. Night Vision Monoculars, Binoculars, and goggles. A night vision monocular can be described as a single eye unit that has no magnification. 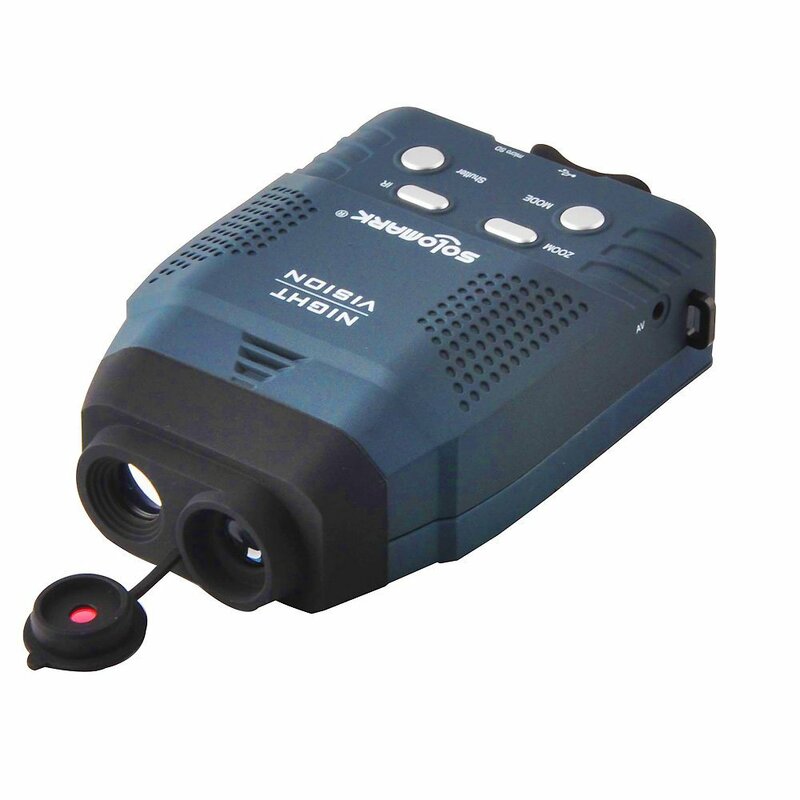 A good quality night vision monocular is extremely versatile. Because they are so small and generally light-weight, they are perfect for head mounting. The higher generation monoculars can be attached to rifle scopes or directly to the weapon. These are good if you want to switch back and forth between eyes. Night Vision goggles are a lot like the monoculars in the fact that they do not have magnification however, they are designed for you to use with both eyes at once. Since you are using both eyes, you get much better depth perception than with the monoculars. These are often preferred and feel extremely natural when used in conjunction with a head mount. The disadvantage to night vision goggles is that they are sometimes heavier so they provide a little less versatility. Night Vision goggles are not able to be mounted onto weapons. 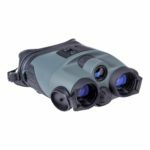 Night Vision Binoculars are devices that have two eyepieces and have built-in magnification. These devices are usually heaviest and are not usually used with a head mount although this is just general preference. These devices are specifically designed to look at images from far distances while you are stationary. If your goal is stationary long distance viewing this is the night vision device of choice. It really depends on your stamina and ability to carry around this much weight. One thing to consider is that the further your target image is the more light you will lose. The biggest issue that people complain about with night vision binoculars is with they fixed magnification. This means that they are always zoomed in, although some higher end models are adjustable. Gain – In a digital imaging device, gain represents the relationship between the number of electrons acquired on an image sensor and the analog-to-digital units (ADUs) that are generated, representing the image signal. Increasing the gain amplifies the signal by increasing the ratio of ADUs to electrons acquired on the sensor. The result is that increasing gain increases the apparent brightness of an image at a given exposure. Range – How far you plan to see with your night vision device. If far distances are important to you, finding a night vision device that has magnification features will be an essential factor in your decision process. Image Quality – This is how clear the images you see will be. Keep in mind smaller objects will always be harder to see and larger objects will be easier. Another factor that will be a factor is the condition you are in while using you night vision device. The best night vision goggles will show a crisp and clear picture even in the darkest conditions. Generation – Night Vision devices come in one of 4 generations. Each generation has a certain level of quality you can read a definition of each generation below. Night Vision comes in 1 of 4 generations! Generation 1 night vision can be summed up at affordable. The maximum range is about 75 yards. Generation 1 usually has lower resolution and more static in the images. Generation 1 night vision goggles rely on built-in IR illuminators that are always on. This makes the user visible to anyone else who may be using a night vision device. 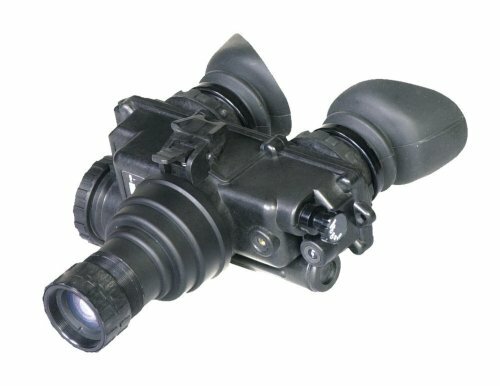 Gen 1 night vision goggles also usually have a shorter battery life and smaller field of view. Generation 2 night vision goggles are a huge step up from the 1st gen equipment. Because there is a price difference you may ask…”how much better?”. Well to put it into perspective, generation 2 night vision goggles are closer to generation 3 than they are to generation 1 night vision goggles. In fact, generation 2 night vision goggles have a much further range and can usually see somewhere in the range of 200 yards. Another bonus of generation 2 night vision goggles is the ability to operate passively. This unlike the generation 1 models does not require IR illuminators. Generation 2 night vision also has a wider field of view, with no distortion. Generation 2 night vision goggles also have increased versatility due to its increased adaptability and durability. Generation 3 night vision goggles are the real deal. This is what the US Military and special forces are using as standard technology. Gen 3 has a few different grades but they are all high-quality. 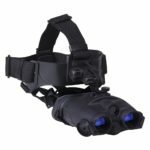 Gen 3ST night vision goggles are good and perform well with a budget in mind, however, Gen 3P as well as 3AG feature auto-gated image tubes that give a much more superior performance in conditions where you are in light areas or you are around artificial lights such as headlight, flashlight, or house lights. Gen 3 night vision goggles can see up to 300 yards. In addition superior range, they also show the cleanest and brightest images. 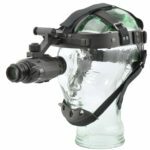 These goggles will work well in low light situations and is great when passive operation is necessary as it does not require the use of IR illuminators. Generation 4 is not so cut and dry. There is no gen 4 technology according to the US Army. This is because when it was originally introduced to the Army, after testing the reliability and life span of Generation 4, they found the technology didn’t meet their strict requirements. Some companies have taken advantage of this and started using the term “generation 4” as part of their marketing to say it’s the best and clearest image. But for the average consumer set of generation 3 night vision goggles will do whatever job they are looking to get done. Here is a short video to give you a visual idea of the difference in gen 1 night vision vs gen 3 night vision. 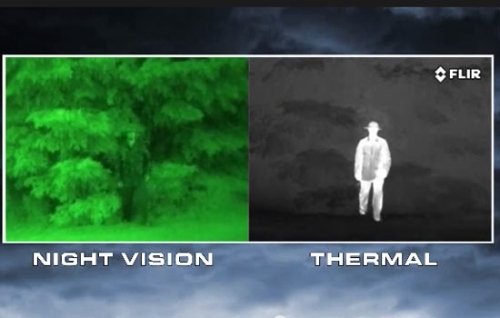 Q: What is the difference between night vision and thermal? Night vision and thermal slightly differ in the fact that night vision operates on the principle of light amplification. Thermal imaging, on the other hand, is a technology that creates a photo or video sequence of light emitted by an object that gives off heat. Picking the best night vision goggles in this instance is dependent on preference. Q: How far can I see at night using a night vision device? How far you are actually able to see depends on a variety of factors. Something to consider is how big are the objects you plan to be looking at. The larger the object is, the easier it is for you to see. If there is visible light from the moon or stars it will be easier to see. On average you can expect to see somewhere in the range of 75-100 yards unless you opt for a night vision device with magnification technology. Q: What does “Autogated” mean? Auto-Gating is a continuous process that helps to improve the clarity of the images you see. This is not limited to the day-night-day transition, but also under dynamic lighting conditions. When you hear someone say the power supply is “auto-gated” it just means the system is turning off and on really fast. When combining this with a thin film attached to the microchannel plate reduces blooming. Q: What is Manual Gain adjustment? Some of the night vision devices we reviewed feature manual gain adjustment. This feature allows you to increase the gain of the video signal. The added intensity of voltage that is delivered to each individual pixel is increased resulting in a brighter, clearer image. Night vision devices that don’t have the manual gain adjustment feature generally utilize some form of automatic gain that automatically attempts to compensate in different environments of light exposure. Automatic gain is usually pretty decent for the average user, however, some advanced users may like the option to find the perfect levels themselves. Q: How Much Do Night Vision Goggles Cost? It depends on a few variables such as generation, features, quality, and brand. 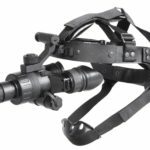 If you are looking for a cost effective solution check out the best night vision goggles under $500.